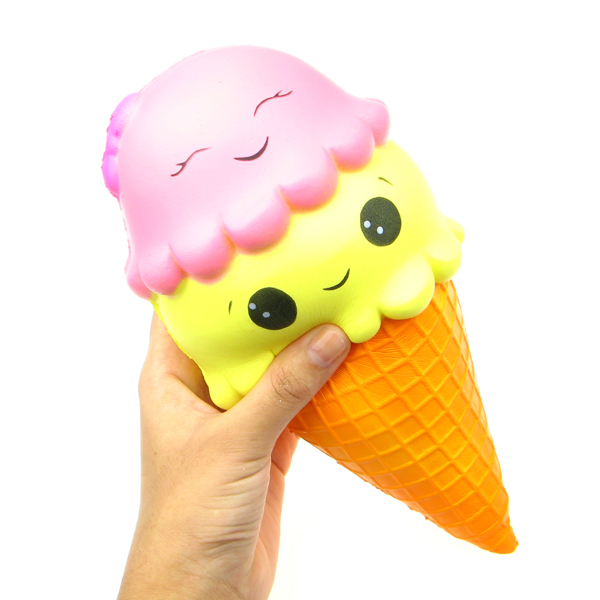 This kawaii Face Ice Cream Cone Super Jumbo Slow Rising Squishy is the largest squishy ever we have stocked so far, and at 23 cm long it is huge and super slow rising too. It features a kawaii face on the ice cream scoop and the body of the cone is textured to look like a real ice cream waffle cone. Supplied in a Japanese retail packing and it is scented too.